There are a lot of reasons to buy used instead of new when shopping for your next vehicle in Fairhope, and everyone’s needs are different. A used Porsche might be the way to go for you–browse our inventory at Porsche Mobile to find a used Porsche for sale that fits your style and budget, then schedule a test-drive and feel the power of a Porsche engine in person. Odometer is 33038 miles below market average! LOW MILES, 16" San Diego Alloy Wheels, 4-Wheel Disc Brakes, 8 Speakers, ABS brakes, Air Conditioning, AM/FM radio, Basissitz Metro Cloth Seat Trim, Brake assist, Bumpers: body-color, Driver door bin, Driver vanity mirror, Electronic Stability Control, Four wheel independent suspension, Heated door mirrors, Illuminated entry, Low tire pressure warning, Outside temperature display, Overhead airbag, Overhead console, Panic alarm, Passenger vanity mirror, Power door mirrors, Power steering, Radio: 2-DIN AM/FM/CD Sound System, Rear window defroster, Rear window wiper, Remote keyless entry, Security system, Speed control, Spoiler, Traction control, Turn signal indicator mirrors. Deep Black Metallic 2010 Volkswagen Tiguan S FWD 6-Speed Automatic 2.0L 4-Cylinder TFSI Trust. Commitment. Excellence. Come experience the all-new Gulf Coast Auto Group with new ownership and new management! Clean CARFAX. Odometer is 37277 miles below market average! LOCAL TRADE, SUNROOF / MOONROOF, Taupe w/Cloth Seat Trim, 115 Volt AC Power Point, 16" x 7JJ Aluminum Disc Wheels, 4-Wheel Disc Brakes, 6 Speakers, Air Conditioning, AM/FM CD w/6 Speakers, Automatic temperature control, Brake assist, Bucket Seats, Cloth Seat Trim, Electronic Stability Control, Front fog lights, Illuminated entry, Low tire pressure warning, Occupant sensing airbag, Outside temperature display, Overhead console, Panic alarm, Power door mirrors, Rear window wiper, Remote keyless entry, Speed control, Speed-sensing steering, Split folding rear seat. Shadow Mica 2007 Toyota 4Runner SR5 RWD 5-Speed Automatic with Overdrive 4.0L V6 SMPI DOHC Trust. Commitment. Excellence. Come experience the all-new Gulf Coast Auto Group with new ownership and new management! 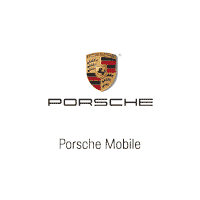 Get the latest Porsche news, and don’t hesitate to contact us with any more questions about your vehicle purchase options in the Gulf Breeze area! You can even compare popular models like the Porsche 911 vs. Cayman before stopping by.